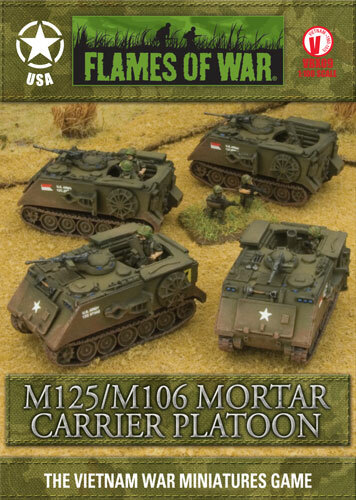 Battlefront has thrown us a few nice surprises with their new Flames of War Vietnam series. First was bringing the line back at all and then there was the addition of plastic rotors for the helicopters. 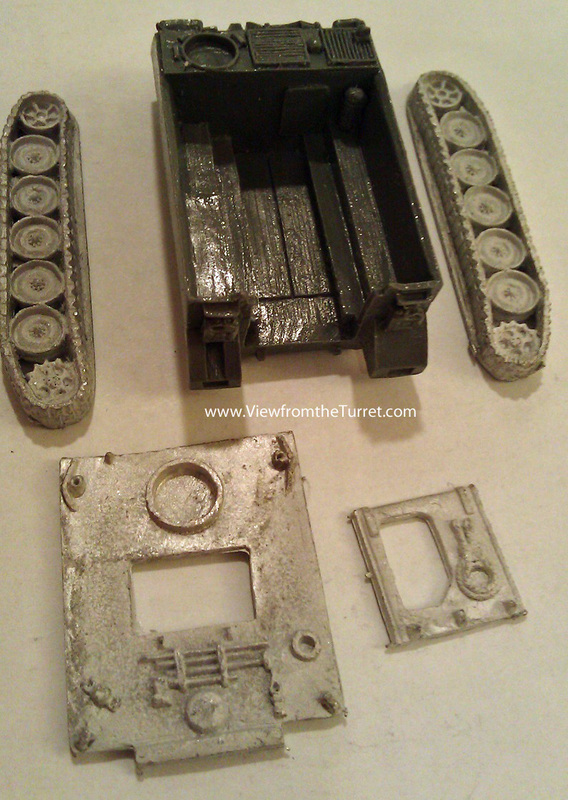 Most recently we discovered that the M113 line of vehicles are not just solid blocks of resin. 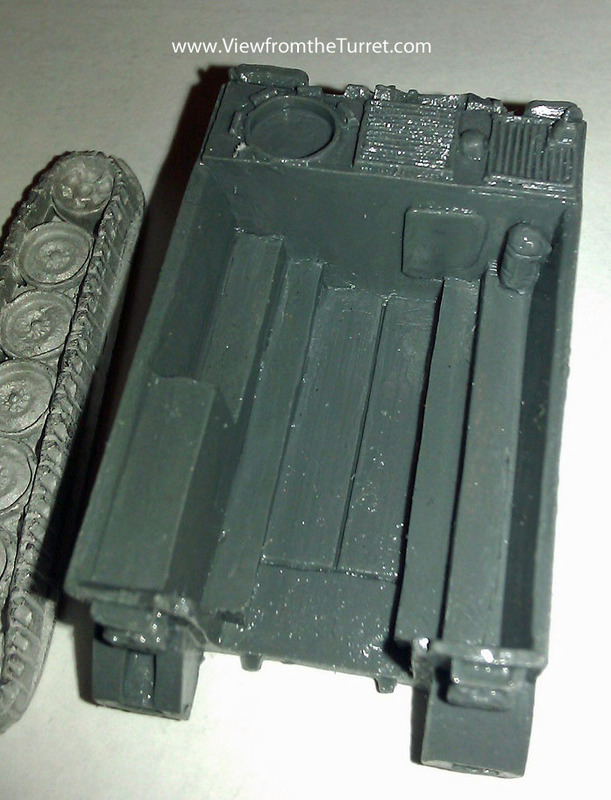 The cargo space of the M113 is actually open and detailed appropriately. 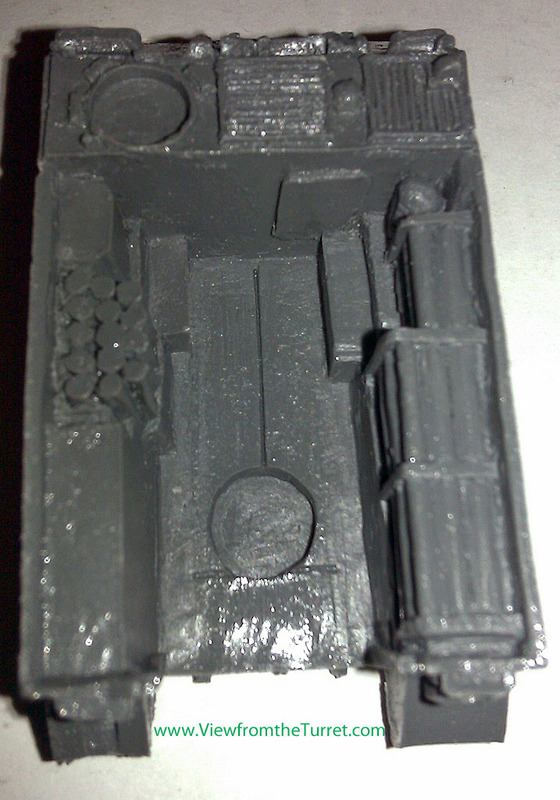 The top deck and back ramp are metal castings. Of course there are pluses and minuses to this approach. The downsides are that any set of Battlefront’s metal castings often have some minor defects. The parts we have seen are very nice but there were a few minor issues. Another issue of course is this design creates more assembly work and can be a bit fiddly. On the positive side though you get more modeling options and those who like to do detail can really go crazy. Being able to have the rear ramp open should look especially nice on the mortar tracks. 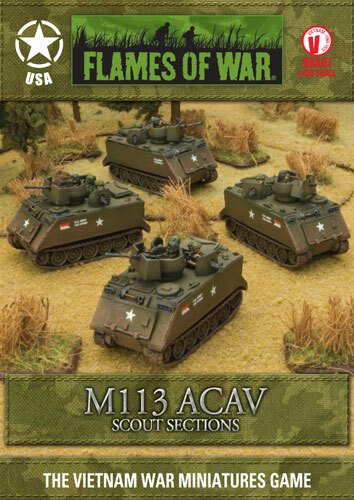 We have included a few photos of the new M113 ACAV and M125/M106 so you can get an idea of what to expect if you pick some up for yourself. Overall the Vietnam range continues to impress us. Note: As of mid-2013 Battlefront’s M113 series of vehicle miniatures are now all plastic and very well done. This entry was posted in Flames of War, Reviews, Vietnam.